The North is one of the constituent regions of Westeros and was a sovereign nation ruled by Kings in the North before Aegon's Conquest. The largest region of the Seven Kingdoms, the dominion of House Stark extends from the border of the New Gift, which is controlled by the Night's Watch, to the southern edge of the Neck far to the south. The north has been ruled by the Starks for thousands of years from the castle known as Winterfell. 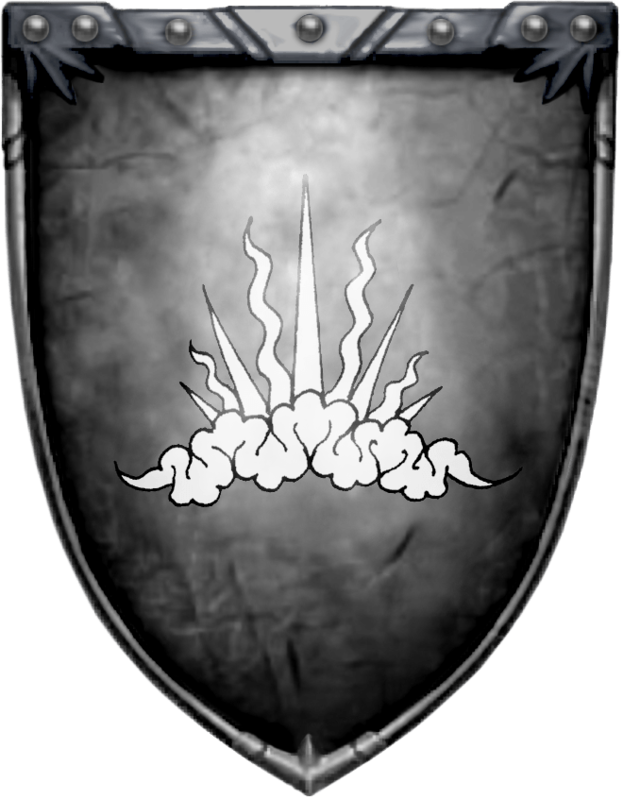 Notable bannermen of the region include Bolton, Cerwyn, Dustin, Flint, Glover, Hornwood, Karstark, Manderly, Mormont, Reed, Ryswell, Tallhart, and Umber. The only city in the region is White Harbor, while the most prominent northern towns are the Winter Town and Barrowton. Winterfell: The capital of The North. The castle is built on hot springs and the warm water is piped through the floors and walls of the castle to keep it warm during the winter when it has come. The seat of House Stark, and the ancestral home to the Kings of Winter, Winterfell is among the oldest castles in all the Seven Kingdoms. According to legend, Bran the Builder constructed the ancient holdfast, making it at least eight thousand years old. 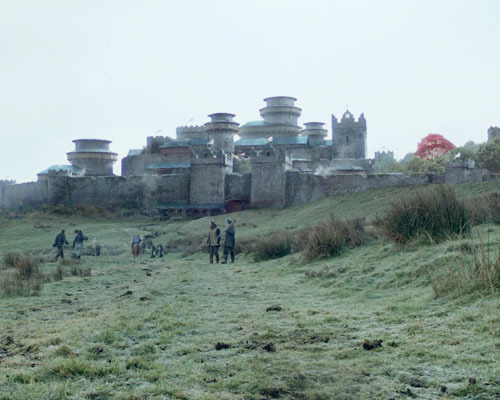 While the castle has certainly spread beyond its original foundation, with new walls, new towers, and more added, Winterfell has never been conquered. Barrowlands: The Barrowlands is an expanse of territory extending north to the Wolfswood, east to the White Knife, south to the Neck, and west to the Rills. This region takes its name for the numerous barrows dotting the lands. These tombs are said to hold the remains of the First Men. Brandon’s Gift: A stretch of grasslands extending fifty leagues to the south of the Wall, Brandon the Builder bequeathed these lands to the Night’s Watch, so they could sustain themselves in the performance of their duty. Eastern Lowlands: East and north of Winterfell, the terrain flattens as it stretches to the east. These rolling plains, crisscrossed with narrow rivers forded by stone bridges, are sparsely populated aside from a few farms and armed encampments. Where farms exist, they spread out and around a single holdfast, generally little more than a wooden palisade around a small tower. Western Mountains: West and north of Winterfell, the land rumbles, and tumbles gaining elevation as the ground rises to meet the mountains. The hills here are largely flint, and many bear watchtowers used by the mountain clans to watch for wildlings and ironmen. Further to the west, the hills give way to towering mountains that extend as far south as the Wolfswood and travel north beyond the Wall. Lonely Hills: This small range of hills lays south and west of the Last River and forms the easternmost boundary of the Wolfswood. New Gift: After Good Queen Alysanne visited the Night’s Watch centuries ago, she was so impressed by the task before the black brothers that she doubled the size of Brandon’s Gift. The lands added are called the New Gift. The Rills: West of the Barrowlands is the hilly region called the Rills. It extends west until it approaches the Stony Shore and south to Blazewater Bay. Sea Dragon Point: The Sea Dragon Point thrusts out from the mainland and marks the western edges of the Bay of Ice. Stony Shore: The Stony Shore is the barren coastline marking the western border of the Rills. The Stony Shore is home to a number of tiny fishing villages. Wolfswood: The Wolfswood is the largest contiguous forest in all of Westeros. Ancient and mysterious, it covers nearly a quarter of the North. Thick with sentinel trees and soldier pines, it is a dark and gloomy place. As the forest extends northward, the pines give way to oaks and hawthorns that grow across the stony hills, where one can find quarries and mines used to provide stone and iron to Winterfell and other communities in the North. The Deepwood lies far to the west, and few if any people dwell there. For all that, the Wolfswood has a sinister character, and it is far from uninhabited. Tiny communities of hunters, crofters, and woodcutters flourish in its depths, and there are even a few lords with holdings here. Bear Island: Situated at about the center of the Bay of Ice, this island of tall pines and moss-covered rocks is under the rule of House Mormont. The folk of Bear Island live along the coasts, where they work as fishermen and brave the icy waters to haul in their catch. Bear Island came to the Mormonts after King Rodrick Stark won it in a wrestling match. Skagos: Skagos is the largest island in a cluster of desolate rocks off the coast in the Bay of Seals. A number of tiny clans carve out an existence here. Nominally, these clans are sworn to Winterfell and House Stark, but their isolation and remoteness mean they are more often than not left to their own devices. Skane: One of the smaller islands of Skagos, it’s believed Skane has stood empty since the people of Skagos descended on them, slaughtering and eating the men and carrying off the women. Most Northmen are descended from the First Men, although there have been centuries of intermarriage with the Andals who conquered south of the Neck. The Old Tongue spoken by the First Men of antiquity has been replaced in the north by the Common Tongue, with the earlier language now only spoken beyond the Wall. Northern accents can be considered "frosted". Northmen such as Karstarks and Umbers are often large in stature and have thick beards, long hair, and heavy cloaks of wool or fur. Northmen are sometimes referred to as "wolves" by Ironborn and Southrons. The constant cold and the iron grip of winter set apart the Northerners from the people of the kingdoms south of the Neck. The north's terrain and climate do not easily yield the necessities of daily life. Some Northmen live in remote, distant areas where they act as little more than clans. These folk, such as the Crannogmen, Mountain Clans, and the Skagosi are allowed to maintain their own ways and traditions as long as they remain loyal to Winterfell. Northmen place less of an emphasis on courtly ritual and culture, and instead prefer hunting and brawling. Their tourneys are often melees and rarely feature jousting. Most of the North's people still follow the old gods and their heart trees and have little inclination for newer religions. There are a few houses who follow the Faith of the Seven, including Houses Manderly, Wells, and Whitehill. Due to religious differences, Northmen don't become knights like the Southerons. Cavalrymen that follow the old gods are considered Knights in the North. Away from the north these men are just considered Cavalrymen and given no Knightly respects. Northmen hold the Night's Watch in high regard, and many lords send annual gifts to support the Black Brothers, including many of their youngest sons to serve. Bastards of noble origin raised in the North are given the surname Snow. House Stark of Winterfell is one of the Great Houses of Westeros and the principal noble house of the north. In days of old they ruled as Kings of Winter, but since Aegon's Conquest they have been Wardens of the North and ruled as Lords of Winterfell. Their seat, Winterfell, is an ancient castle renowned for its strength. The lions of Lannister may pay their debts and the hawk of House Arryn may soar as high as honor, but the direwolf of House Stark is a different sort of animal. A Stark lives for duty and dies for honor. He may ride laughing in the sunshine, joyously harvest his crops, and bask in the warmth of the long summer, but in his heart, a Stark knows even the brightest days end. Winter comes to Westeros as surely as death comes to every man. Since the most ancient of times, the family motto has been etched on the soul of every Stark, a bleak portent, and a grim warning, winter is coming. The Starks have a reputation for long faces, brown hair, and grey eyes. Some are known for melancholy and iciness, while others have a wildness sometimes called "wolf blood". Their sigil is a running grey direwolf, on an ice-white field. The houses of the North have been good and bad, noble and treacherous, but some houses live under a dark and sinister cloud, and of them, few can compare to House Bolton. In ages past, the Boltons and the Starks were sworn enemies, and they fought against the Kings of Winter in all things. 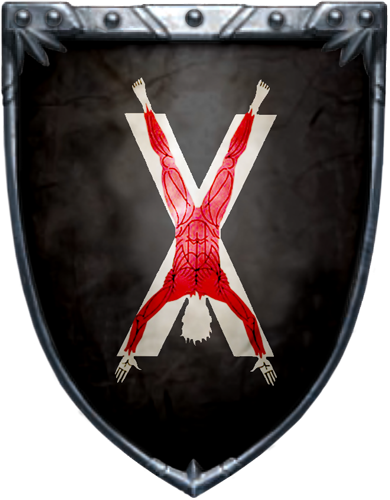 Their sigil is a red flayed man on a pink de sang. 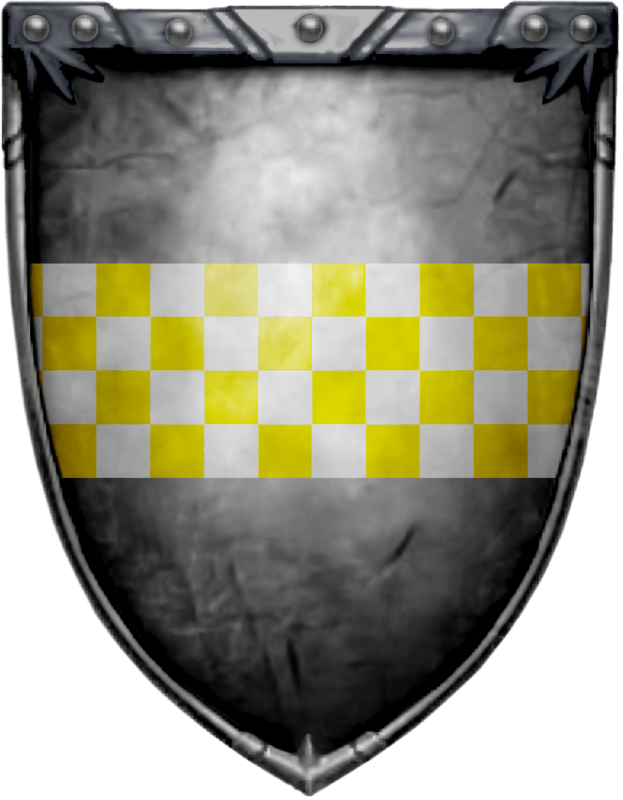 The Cassels are household knights of House Stark, noted for their loyalty and dedication to the Stark family. 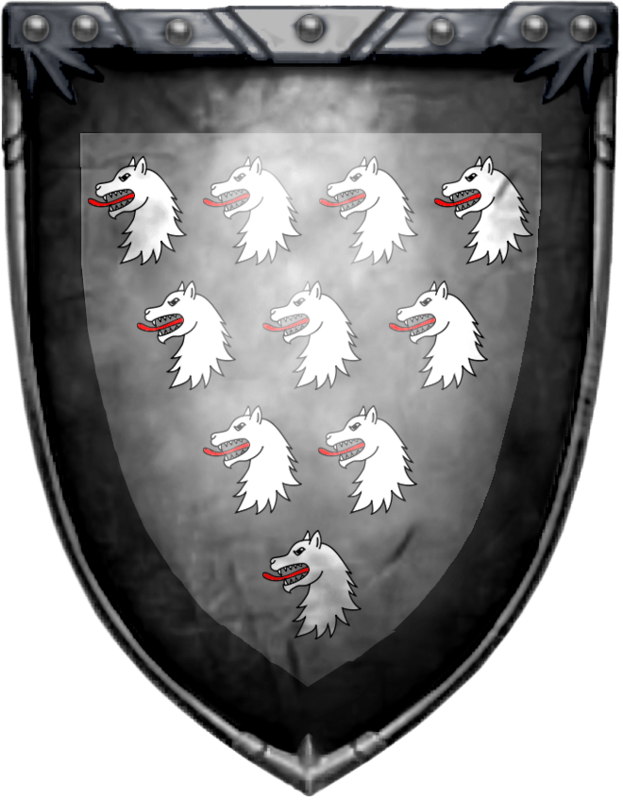 Their sigil is a ten white wolf heads, 4-3-2-1, on a grey field with black border. House Cerwyn is a minor house sworn to House Stark. 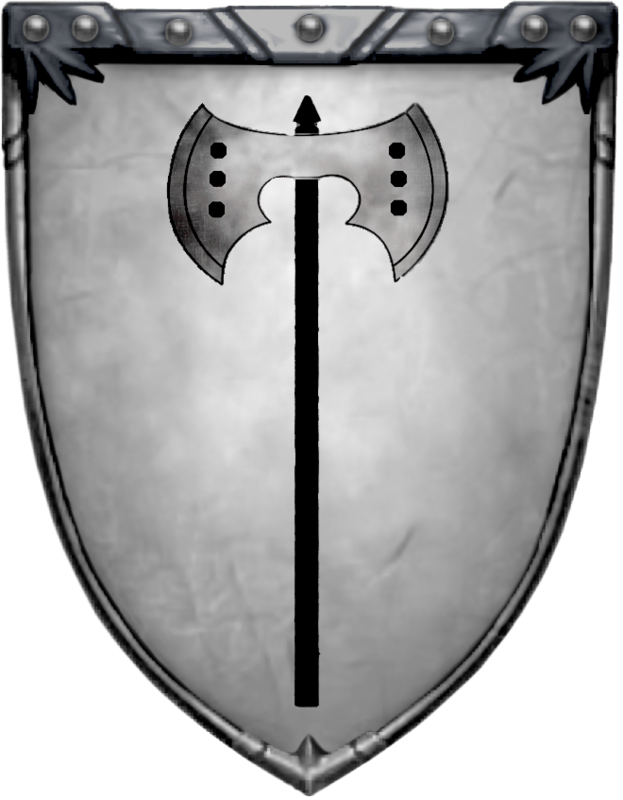 Their sigil is a black battleaxe on silver. 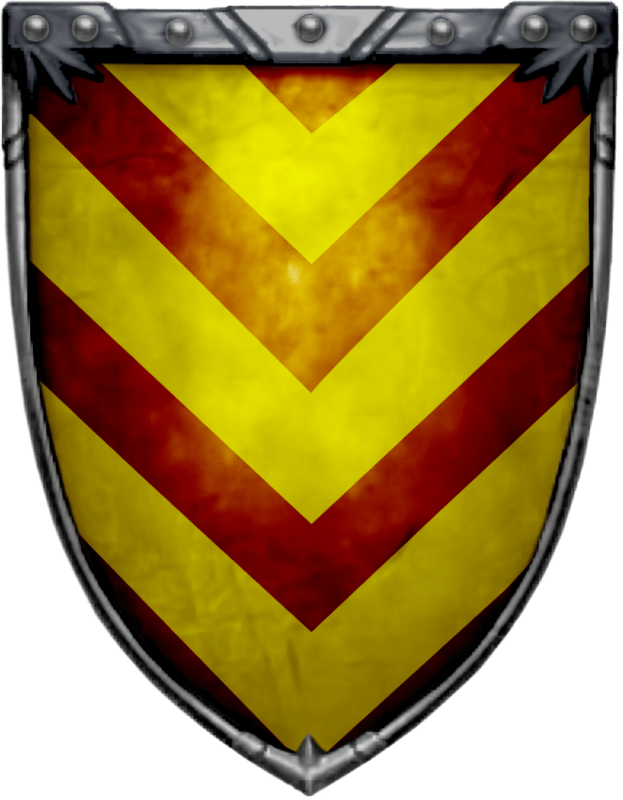 House Condon is a minor house sworn to House Cerwyn. 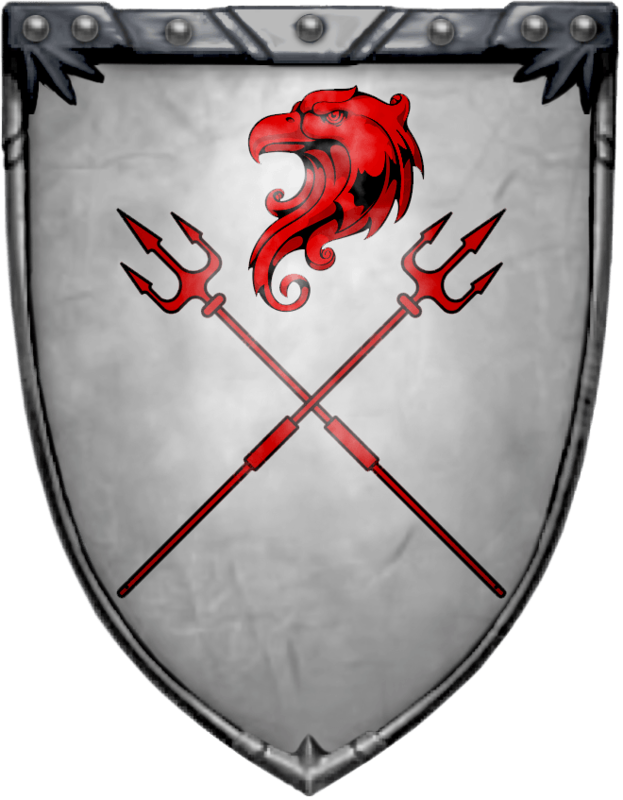 Their sigil is an eagle’s head between crossed tridents, red on white. 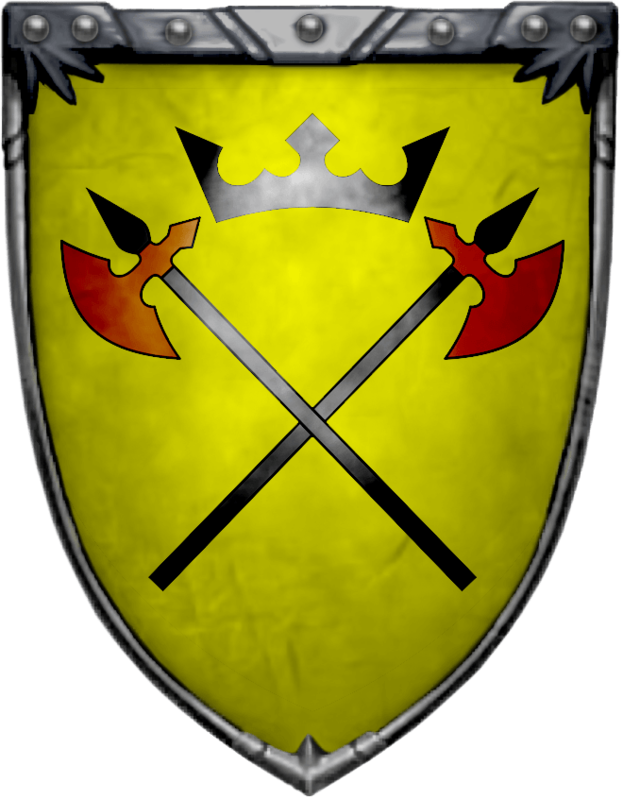 Their sigil is a two rusted longaxes with black shafts crossed, a black crown between their points on a yellow field. 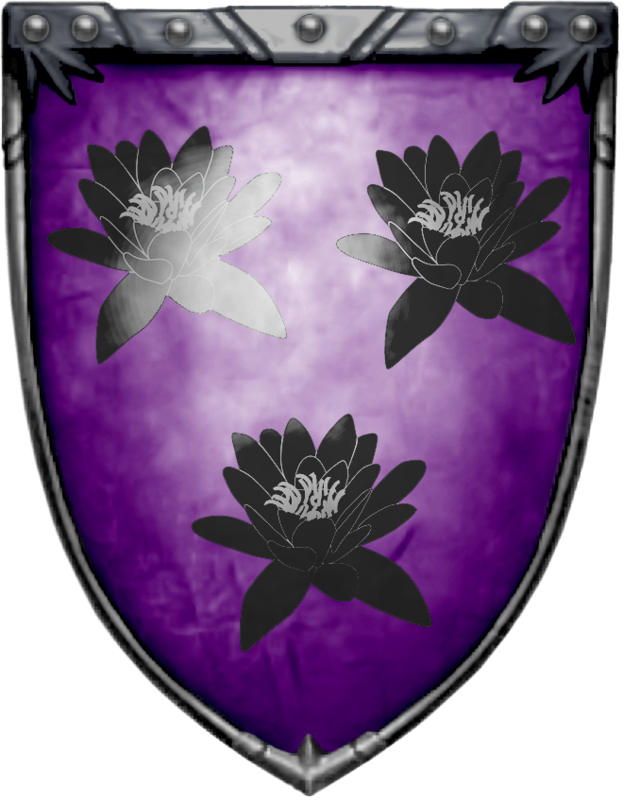 Their sigil is three black water lilies on a violet field. The Flint's Finger branch of the House has domain over the southern shores of Blazewater Bay. 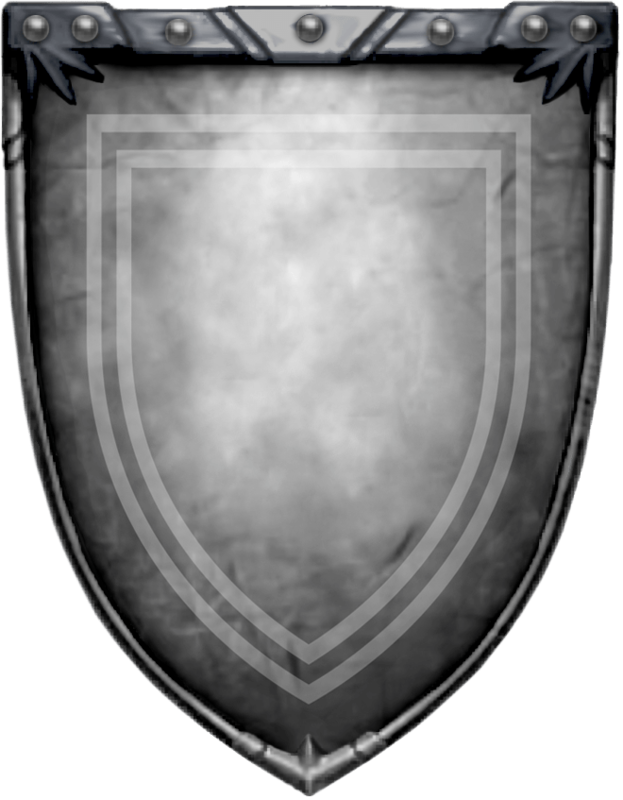 Their sigil is a grey stone hand upon a white inverted pall on paly black and grey. The senior branch of the extended Flint family, House Flint of Widow’s Watch commands a peninsula east and north of White Harbor. They have a cadet branch in Flint's Finger and are also tied with the mountain clan Flints. 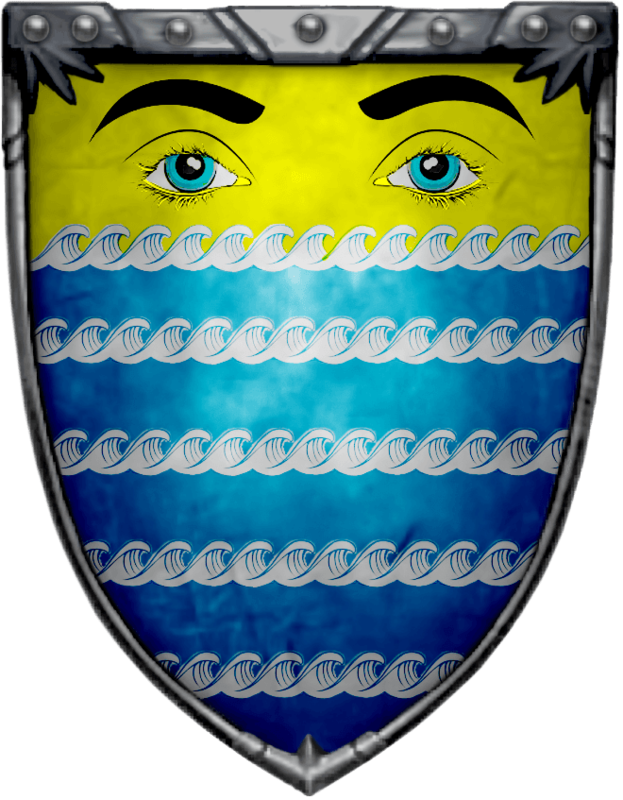 The senior branch's sigil is a blue field strewn with whitecaps, a pair of blue eyes on a yellow chief with crested line. Deepwood Motte, a rugged domain located north of Sea Dragon Point and on the opposite side of the Wolfswood from Winterfell, near the tidal flats of the Bay of Ice. A simple wooden fortress perched on a hill, Deepwood Motte is nevertheless an important strategic location for the Starks, as it can be used to supply an army from the sea, and its remote location makes sieges difficult. Deepwood Motte’s garrison is small, but the folk of the domain are tough and determined, adapted to a life in the wilds. 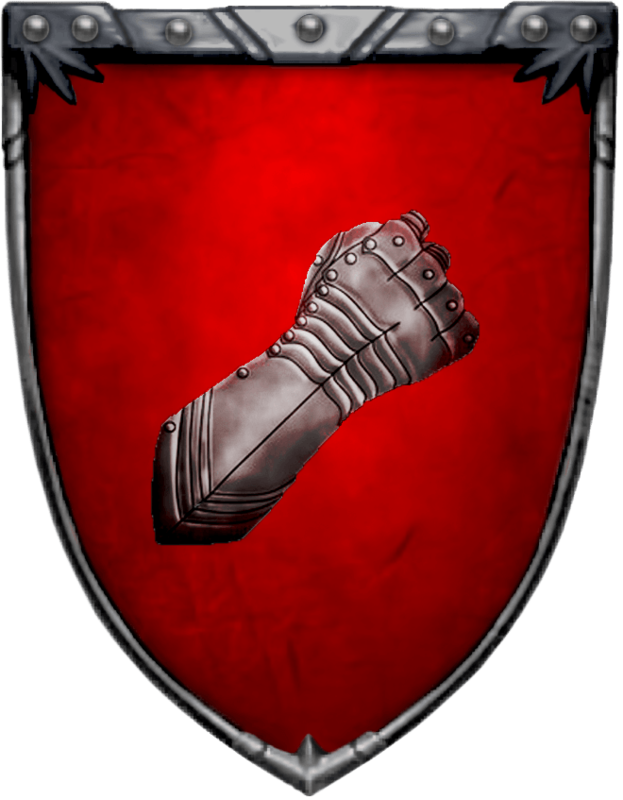 Their sigil is a silver fist on a scarlet field. 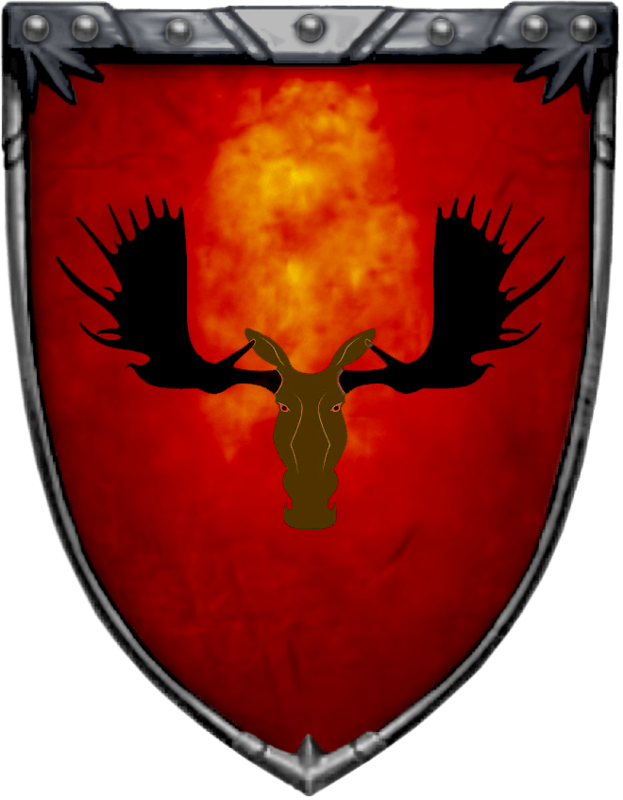 Their sigil is a brown bull moose with black antlers on orange field. 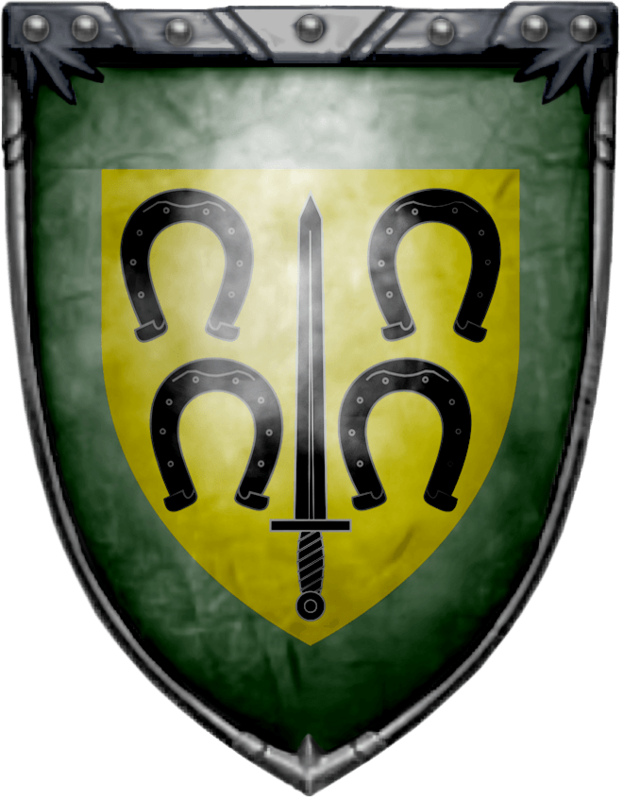 Their sigil is a black sword, upright, between four black horseshoes on a field of gold, with a grey-green border. 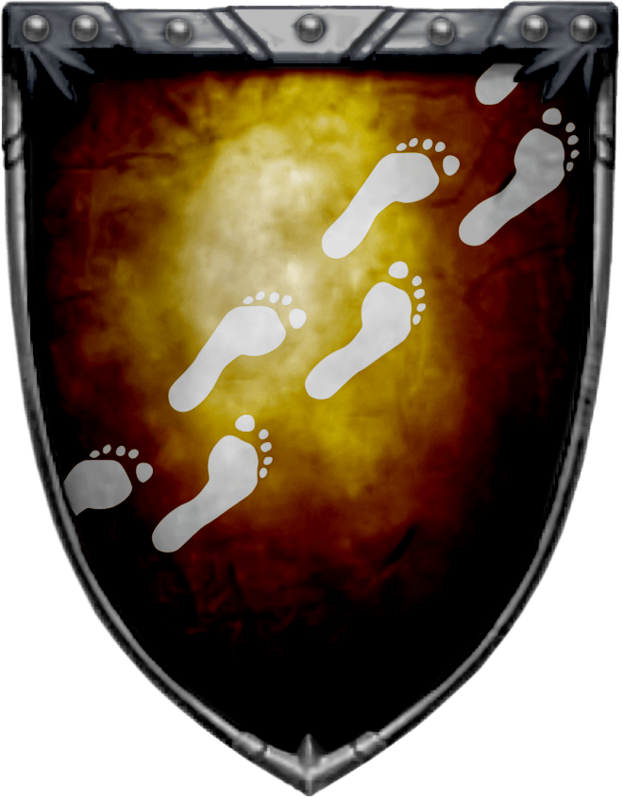 Like many of the northern houses, House Karstark claims to have directly descended from the First Men, and they claim with pride their close ties to House Stark, having been raised to lords one thousand years ago when Karlon Stark put down a rebel lord. For his service, the King of Winter granted this cadet branch of Starks lands to the northeast of Winterfell, in the midst of a forest beyond the Last River. Eventually, the so-called Karhold Starks became the Karstarks, a household quite separate from the Starks of Winterfell. They are big, fierce men with great beards and long hair, and they wear cloaks of bear, wolf, and sealskin. Their sigil is a white sunburst on black field. Their sigil is seven pommes, 2-2-2-1, green on brown. Their sigil is a line of white footprints in bend sinister, on a dark brown field. Their sigil is a bronze crossed keys on a white pale on purple. The castle at White Harbor was built by King Jon Stark to defend against eastern sea raiders. 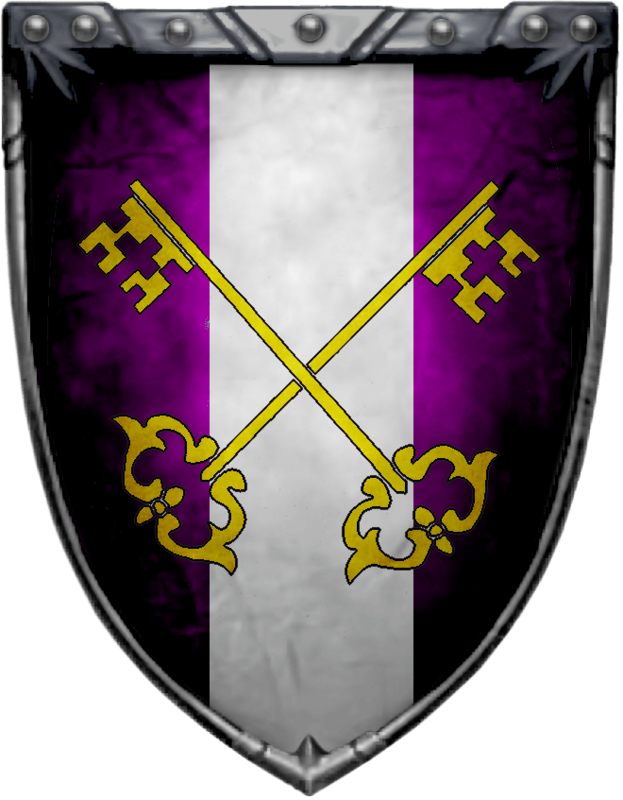 Driven from the lands of the river Mander (which the Manderlys insist was named for them rather than the other way around), the Manderlys were granted the fortress and surrounding lands and have served as loyal bannermen to House Stark ever since. As they were from the south, the Manderlys continued to follow the faith of the Seven rather than the old gods of the North and are quite devoted to the principles of chivalry and knighthood. Today, the White Harbor region is prosperous, with considerable mercantile trade from the east and rich fishing grounds. 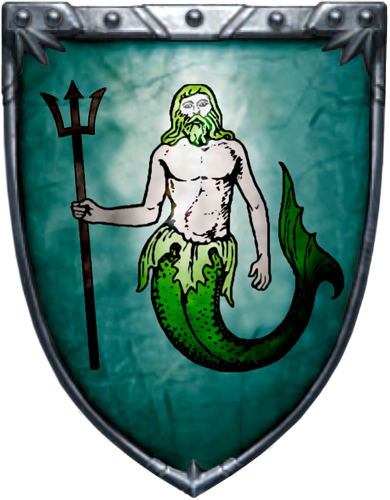 Their sigil is a white merman with dark green hair, beard, and tail, carrying a black trident on a blue-green field. 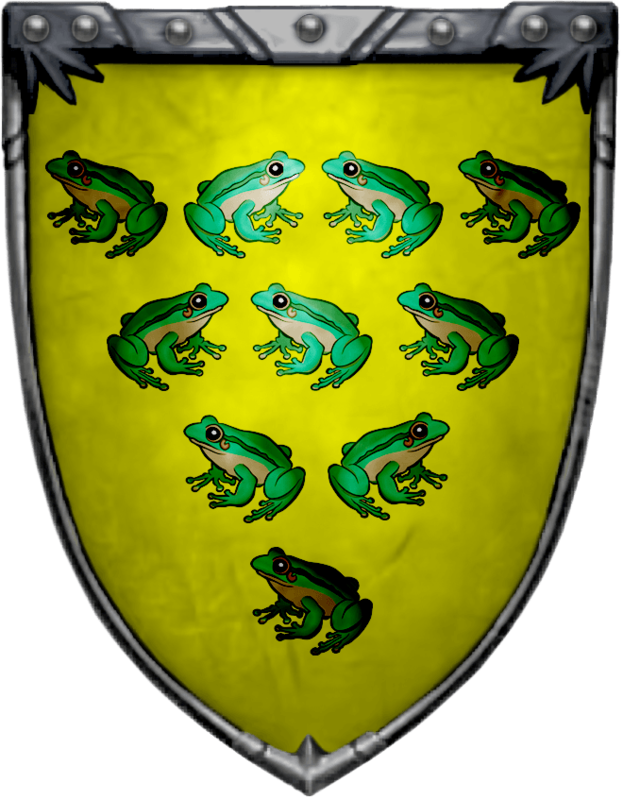 Their sigil is ten frogs, 4-3-2-1, green on yellow. 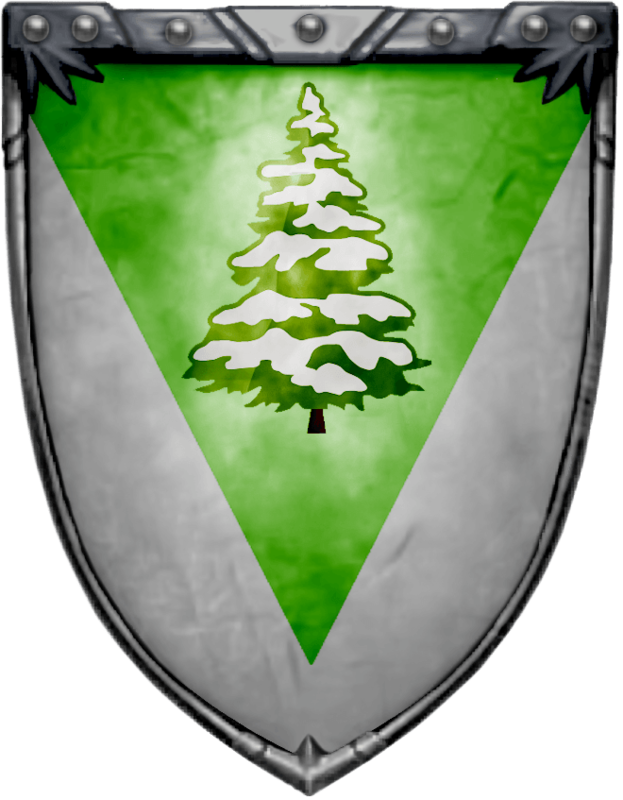 Their sigil is a pine tree covered in snow in a pale green pile, on white. 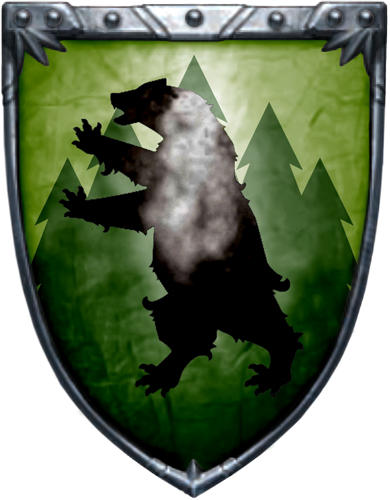 Their sigil is a black bear in a green wood. Their sigil is a bend orange on vairy green and grey. 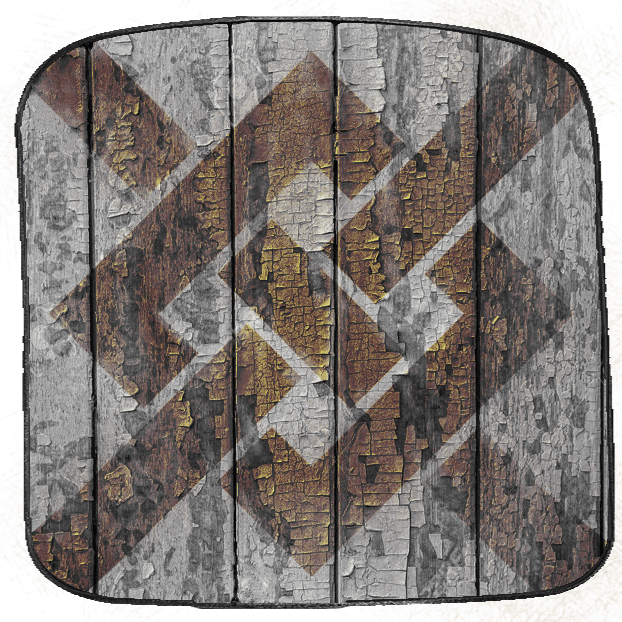 Their sigil is a checkered silver and gold fess on black. 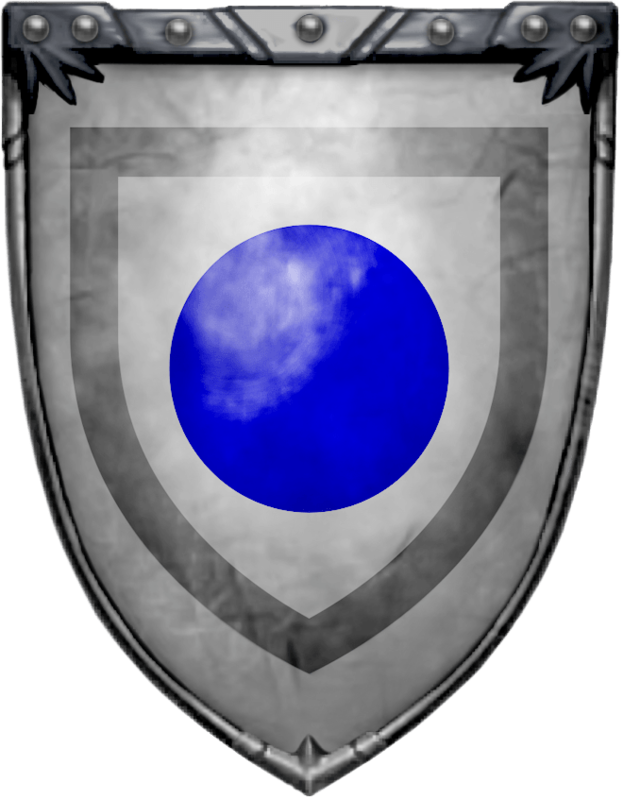 Their sigil is a blue plate on white, with a grey tressure. The crannogmen are the reclusive people of the Neck. Subsisting on fishing and frogging, most people suspect them of all sorts of queer acts, which is only reinforced by their unusual customs and manners. Crannogmen collect in small villages formed of reeds and thatch that sit atop floating islands in the mire. The crannogmen of the Neck are among the strangest of House Stark’s allies, but they are also among the most valued. The rest of Westeros calls the swamp-folk “frog-eaters” or “mudmen” and sees them as hopelessly primitive rustics. Crannogmen and -women fight with nets, slender frog spears, and bronze knives, striking from hiding and vanishing into the swamp. Many strange tales surround the crannogmen, for they are diminutive and claim to know some of the secrets left by the children of the forest. It is said they practice some of the ancient spells, and a few crannogmen have the greensight, the ability to see other times and places. They are, for the most part, a peaceful people who live in thatched reed huts on floating islands and fight only if they have to. Though the crannogmen disdain nobility, knights, and the tenets of chivalry, they do have a ruling house, the Reeds of Greywater Watch. This fortress is the center of the crannogmen’s realm, though no one can say for certain exactly where it is. Greywater Watch is said to drift and move, never in the same place twice, as elusive as the folk who dwell in the bogs of the Neck. 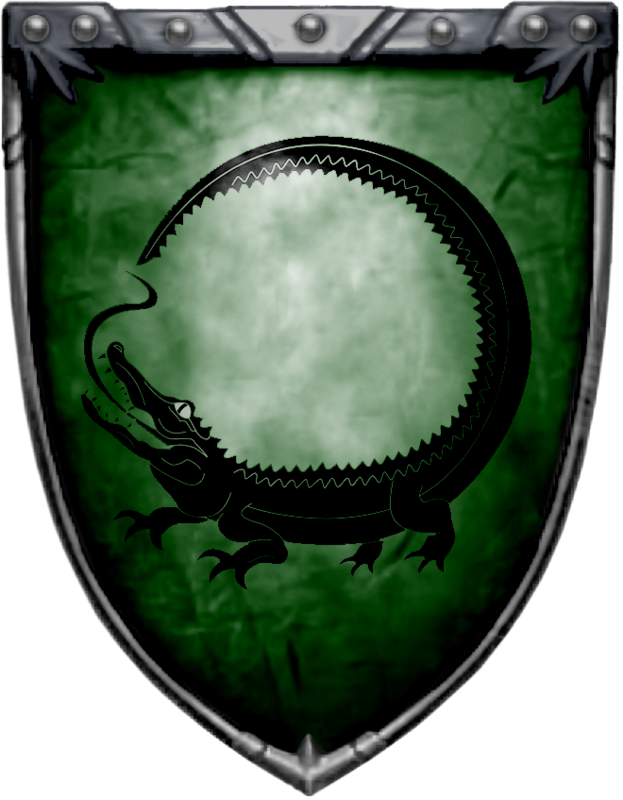 Their sigil is a black lizard-lion on grey-green. House Ryswell commands the hilly lands known as the Rills southwest of Torrhen’s Square. According to legend, seventy-nine men deserted the Night’s Watch and sought refuge with the then Lord Ryswell, as one of their numbers was the lord’s son. Lord Ryswell rounded them up and marched them back to the Wall, where they were each sealed up inside the Wall, such was the Lord's honor. In his dying days, Ryswell took the black so he could stand watch next to the son he consigned to death. 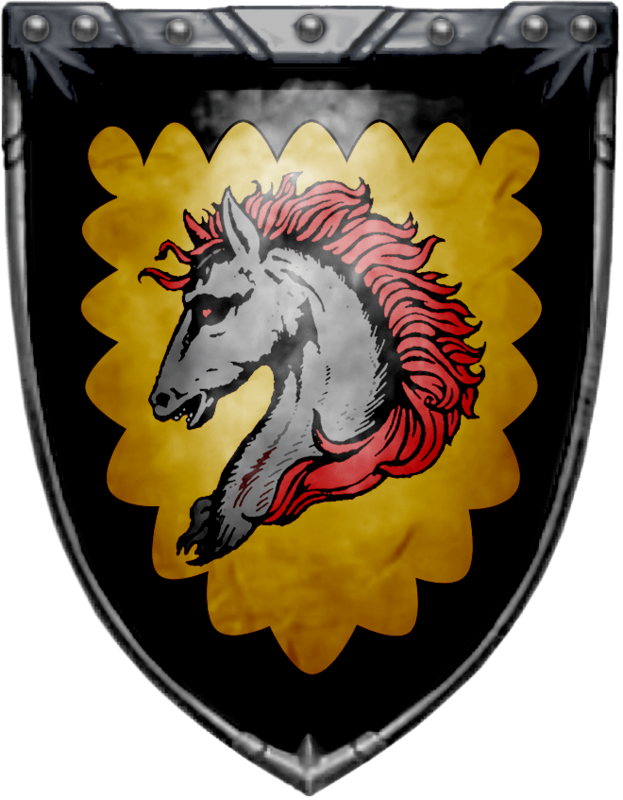 Their sigil is a black horse’s head, red eyes, and mane, on bronze with black engrailed border. Their sigil is a pale grey, double tressure white. Their sigil is a chevronny russet and gold. Torrhen’s Square is a small domain centered on a strong fortress that rises from a lakeshore in the rugged lands south of the Wolfswood and north of the Barrowlands. Though relatively few in number, the Tallharts are an important ally to House Stark, as Torrhen’s Square is one of few fortresses in the region, and it would form a vital bulwark against invasion or raids from the west. The Ironmen are well aware of the fort’s strategic importance, and it would be one of their first targets should war ever break out. 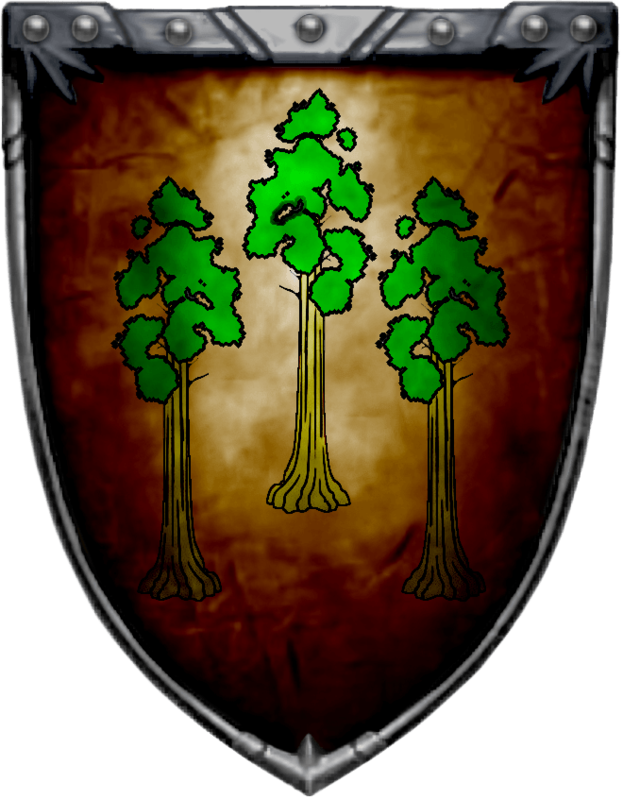 Their sigil is a three sentinel trees, green on brown. The Umbers control the harsh land along the Bay of Seals, a place of wild hills and ancient forests of oak and pine. They are a hardy people, tempered by the rough northern climate and often called upon to help defend the Wall against wildling raiders. The Umbers’ most celebrated victory was as part of the host that defeated the brothers Gendel and Gorne, who had, together, declared themselves Kings-beyond-the-Wall over three millennia ago. Today, the house has a rather fearsome reputation, and some tales claim that the Night’s King was not a Bolton at all, but an Umber. 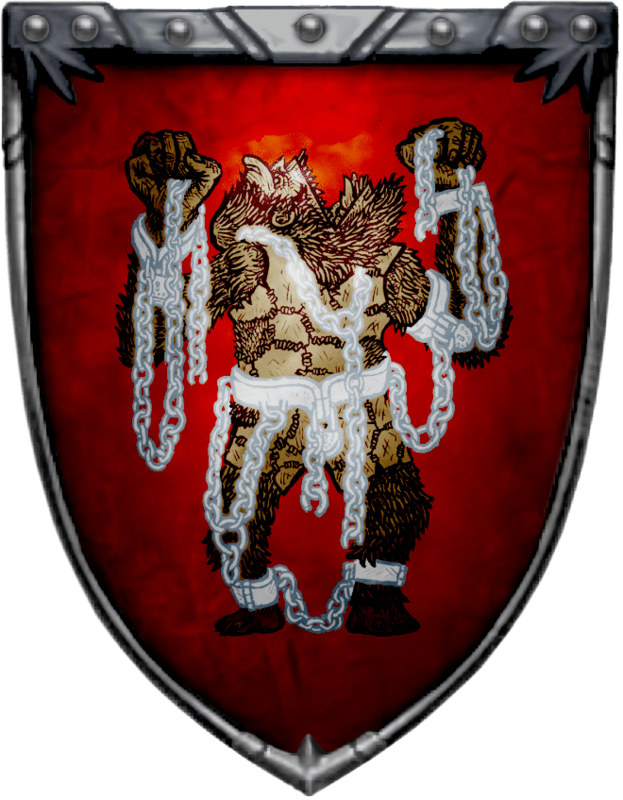 Their sigil is a roaring giant with brown hair, wearing a skin, with broken silver chains, on flame red. 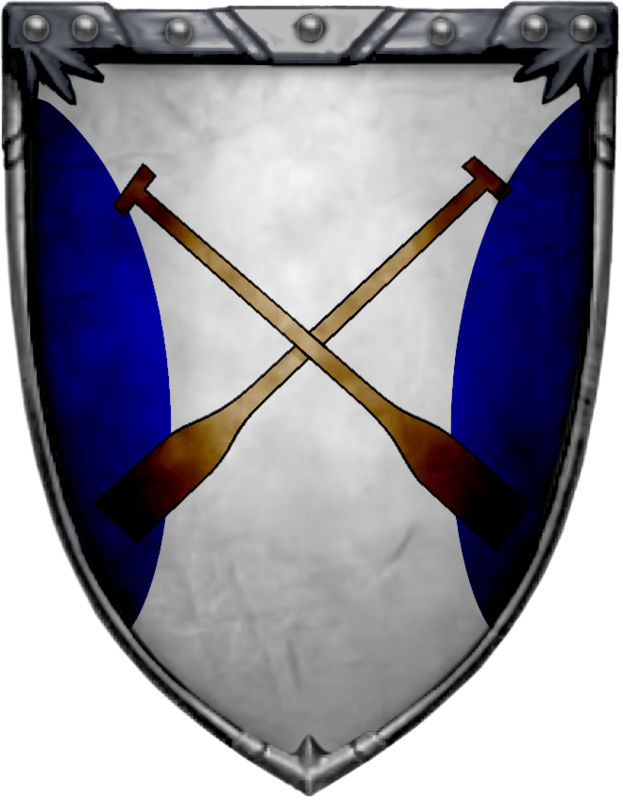 Their sigil is a brown crossed oars on white, between a pair of blue flanches. Their sigil is a per fess - five black roundels on grey over green and white lozengy. 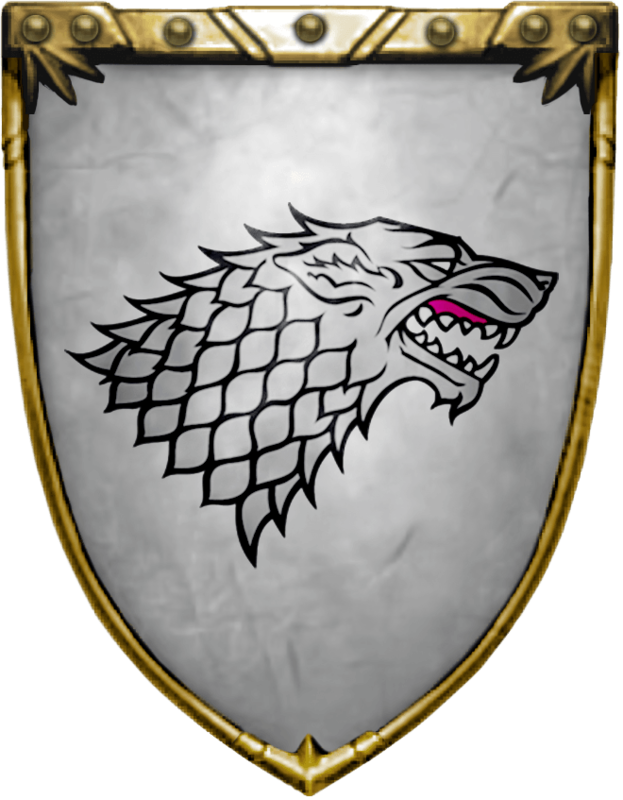 House Whitehill is a minor house with lands in the North and is sworn to House Stark. 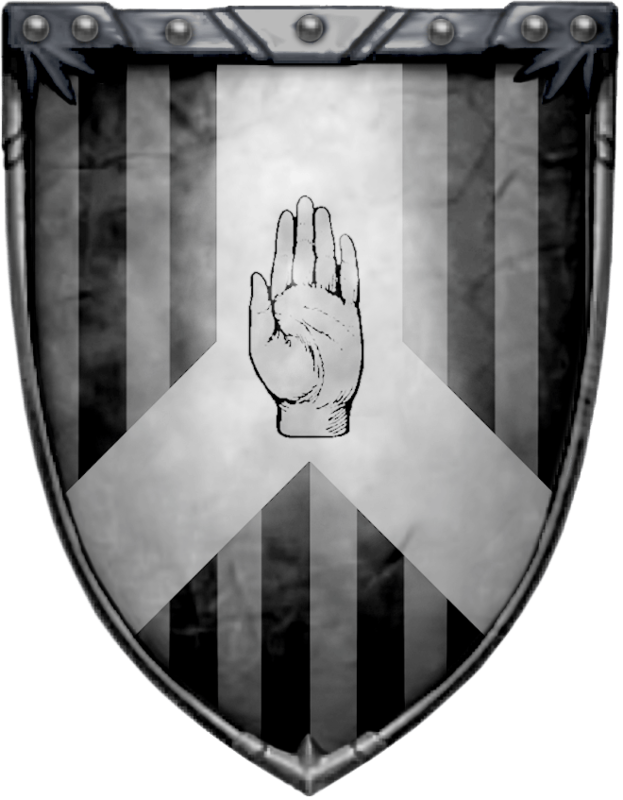 Like few other houses in the North, House Whitehill keeps the Faith of the Seven. 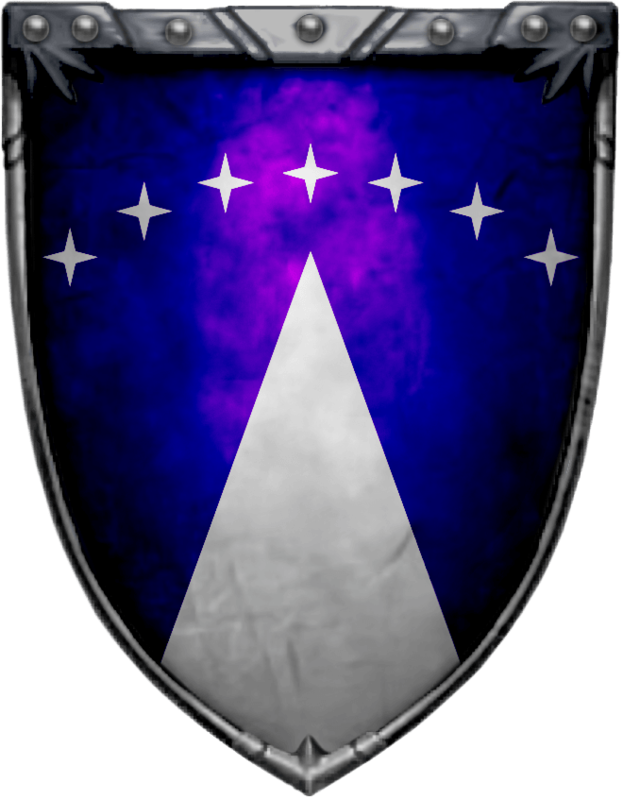 Their sigil is a white pile inverted on indigo, an arch of four-pointed stars above. The Woolfields are sworn to House Stark. 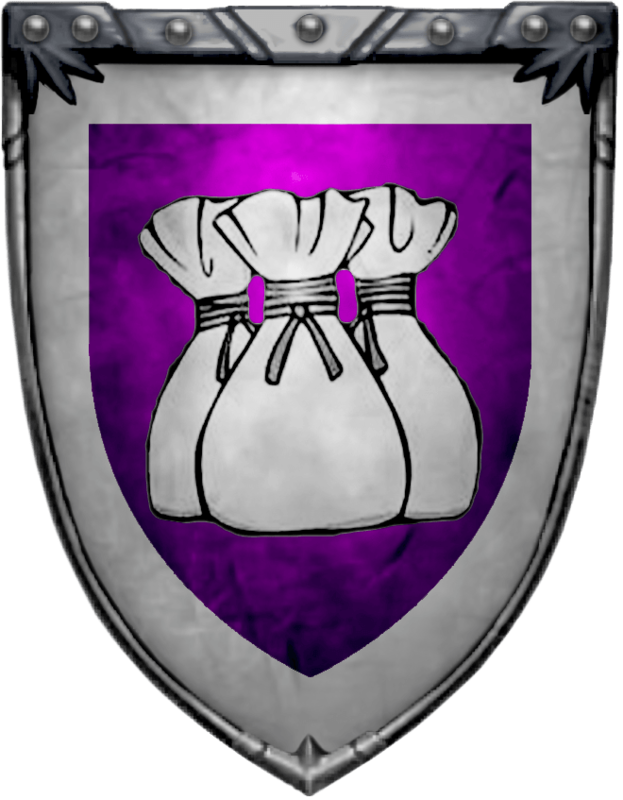 Their sigil is three wool stacks, white on purple, a white border. 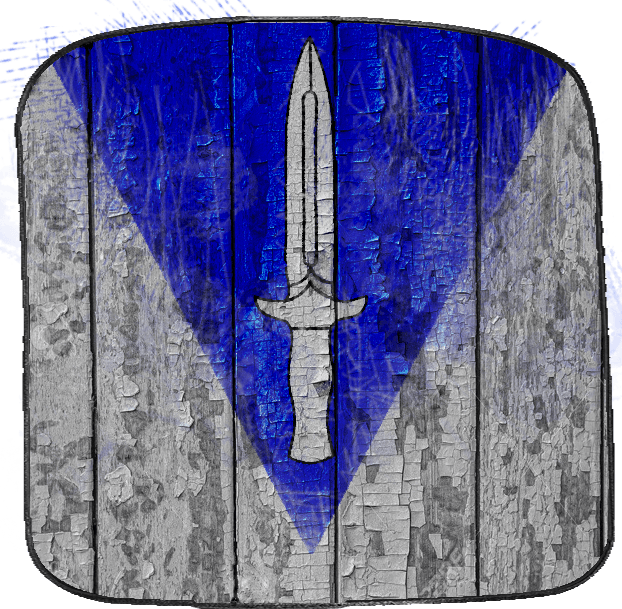 Their sigil is a white knife in a blue pile on white. 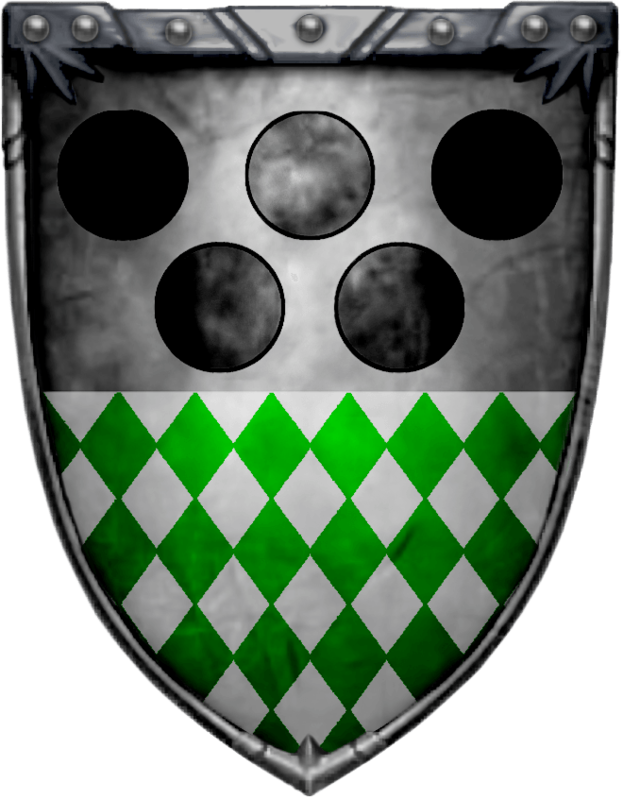 House Harclay is one of the northern clans and holds territory in the foothills north of the Wolfswood. 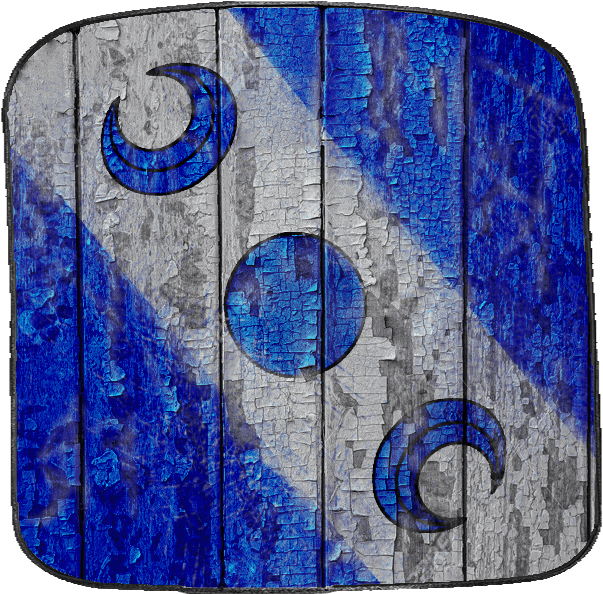 Their sigil is three blue moons - waxing, full, waning, on a white bend, on blue. House Knott is one of the northern clans and holds lands in the mountains north of the wolfswood. Their sigil is a brown fret on white. House Liddle governs the highlands north of the Wolfswood. 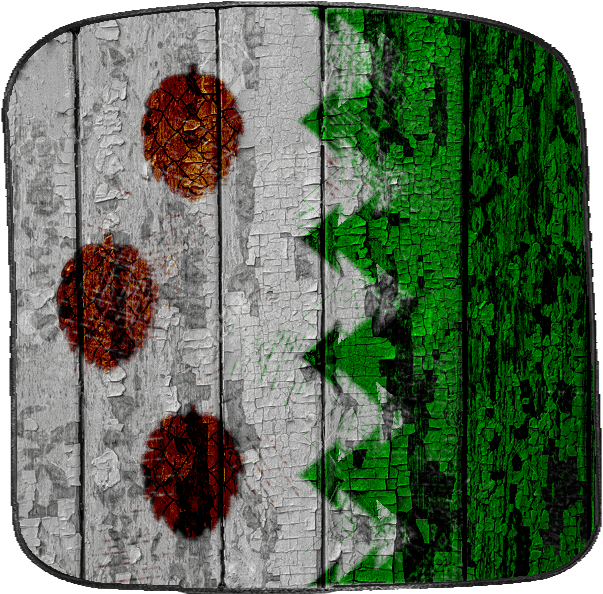 Their sigil is a per pale white and green, a fir tree line between, three brown pinecones on the white. 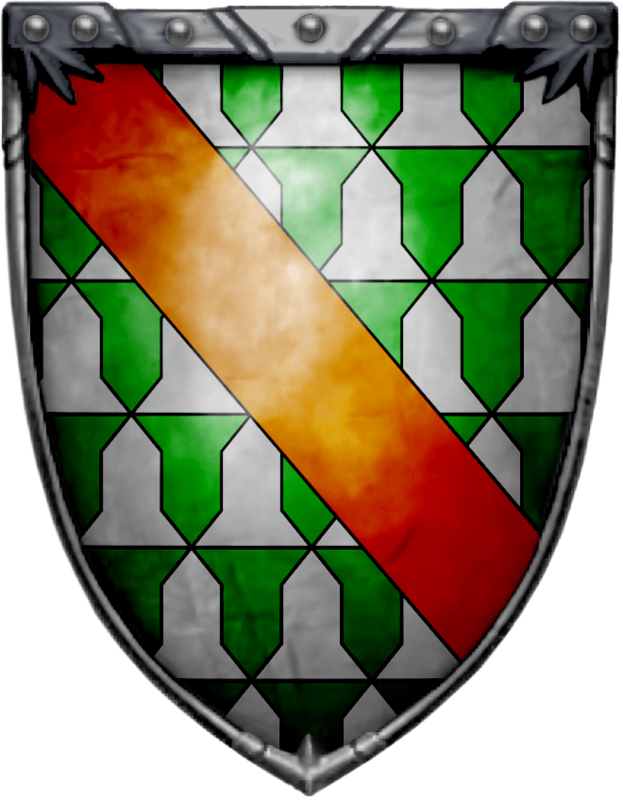 House Norrey is another minor clan of the North, with lands in the mountains north of the Wolfswood. 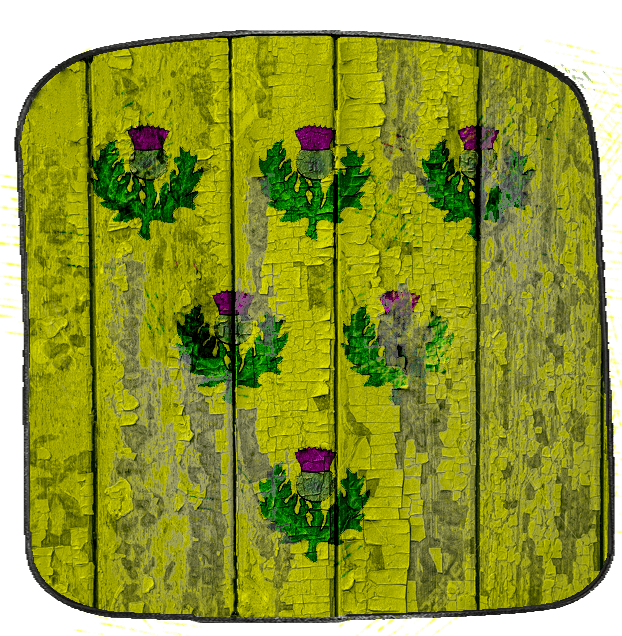 Their sigil is six green thistles, 3-2-1, on yellow. House Wull is one of the more significant northern clans and holds lands west of the northern mountains along the Bay of Ice. 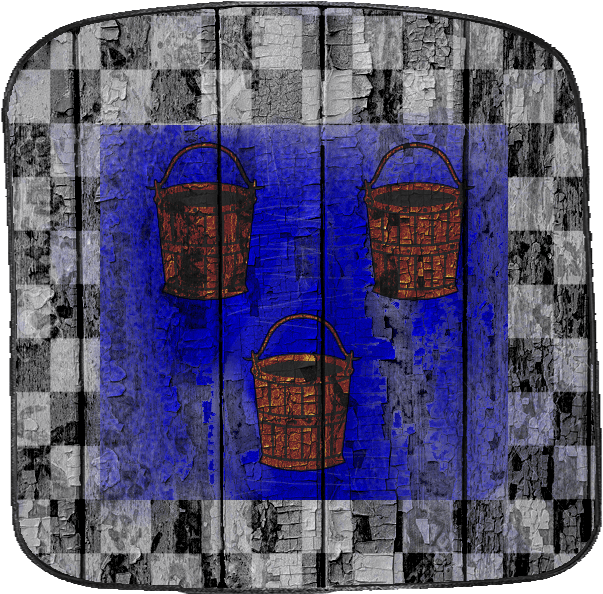 Their sigil is three wooden buckets, brown on blue, with a border of grey and white checks.